​The calendar is distinctly marked with the impending social event; family and friends are going to be there en mass, many of whom you haven’t seen for a while. There will definitely be photographs; Facebook and social media sharing; you are very sure of that. You can already predict the display of beautiful dresses on lean limbed, scantily clad bodies making the most of the brief days of British sunshine. Just thinking about it, you feel a churning dread in the pit of your stomach. What can you possibly do to lose some pounds before the event to ensure you are looking and feeling your best? You might have even felt that you’d been doing a bit better with food and your body image recently, but suddenly, this blip on the horizon has sent you spiralling out of control. You can’t think about anything else now but cutting down on the carbs and monitoring those calories, in an attempt to transport your body to a smaller dress size, as fast as is possible. 1. Think back to the last few weddings, parties and social occasions that you have been to. What is it that you hold in your memory and remember distinctly from the day? It might be someone’s vibrant and colourful hat; a particularly stylish dress; the argument that happened between Auntie Jean and Grandad after a few too many shots. It may be the lively, interesting conversations with friends you haven’t seen for ages and the funny anecdotes and stories shared over the evening. It might even all be a bit hazy due the lubricating effects of alcohol! In reality, I very much doubt that you paid that much attention to the body size of others. It might have flickered across your consciousness, maybe if you were having a negative body day yourself; but other things might well have taken precedent. So although you might be feeling very self-conscious about your body shape, remember that other people do not care about your body size anywhere nearly as much as you do. This might feel very tricky to take on board and truly believe; however, try to consider the possibility and reassure yourself when you are struggling. 2. Trying to crash diet in a few weeks is not a sustainable or an enjoyable experience. Focus on emphasising the parts of yourself that you can change now and have influence on. Could you get a great manicure as a treat for the event? Could someone support you in doing your hair and make-up in a different way? Could you buy or borrow a dress that compliments and enhances your body shape? Maybe you could wear some fabulous shoes or carry a handbag that helps you feel personally confident. Think about what would work for you to help you feel more empowered and in charge of the situation. 3. What is driving you to lose weight for the party? How is the weight-loss going to transform you? How do you perceive the thinner, slimmer, skinnier version of you? Is she more energetic; smiling; confident and sociable? How would it feel to give yourself permission to have some of these things today. You may still wish to lose weight in the future, but your self-worth and wellbeing can begin to improve right now. We know well, that unfortunately, weight loss is often not the magic pill of confidence that we hoped for. It is not worth putting life on hold whilst you wait to achieve this. 4. What else might be lurking under the desire to change your shape? How are you feeling about being sociable? Do you worry that others will like you or find you interesting? Do you feel intimidated or anxious at times? 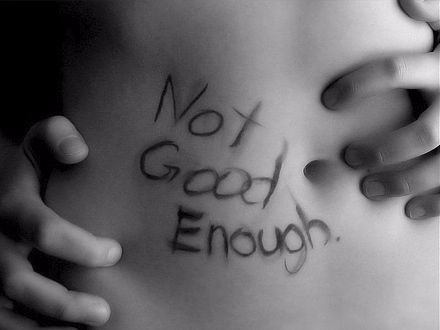 Is the focus on weight a bit of a ‘red herring’, preventing you from facing your own doubts and insecurities. It might be worth considering if this is something you relate to. 5. Approach the event with self-assurance, even if you don’t feel this inwardly. Stand tall, smile and be open to others. Strike up new conversations; imagine that people will wish to talk to you and will find you interesting. If you are fortunate enough to have good health, celebrate the body that you have today; with its movement, strength and energy. Think about what might personally work for you in feeling better about your body image with the summer socialising. If you are really struggling with this and feeling overwhelmed and anxious, it might be worth exploring some of these issues further in a safe and supportive counselling setting.